To meet the growing demand for broadband Internet access, property owners and service providers are looking for ways to rapidly deploy cost-effective solutions to meet tenant needs and generate incremental revenue streams. The MDU-25 allows service providers to cost-effectively deploy xDSL service to an entire multi-tenant property portfolio. 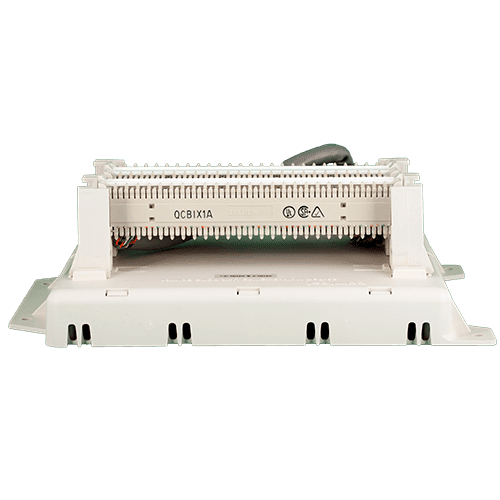 Comtest Networks’ MDU-25V is a modular, 25 ports, full POTS Splitter/Line Conditioner designed to provide POTS services in conjunction with ADSL2+ and VDSL2 services. 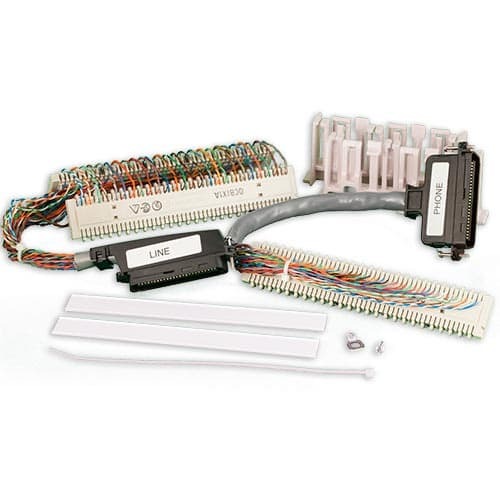 The MDU-25V prevents high frequency xDSL signals from interfering with POTS services. It also prevents low frequency POTS signal from interfering with xDSL services. 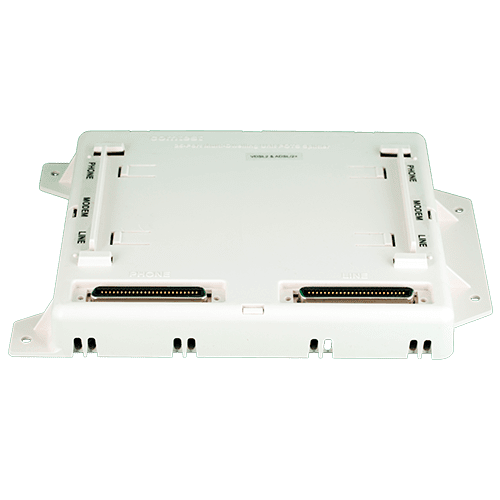 Like Comtest’s other CPE devices, the MDU-25V innovative design address specific issues that affect the delivery of Triple Play services such as ring trip; a major cause of pixelization. 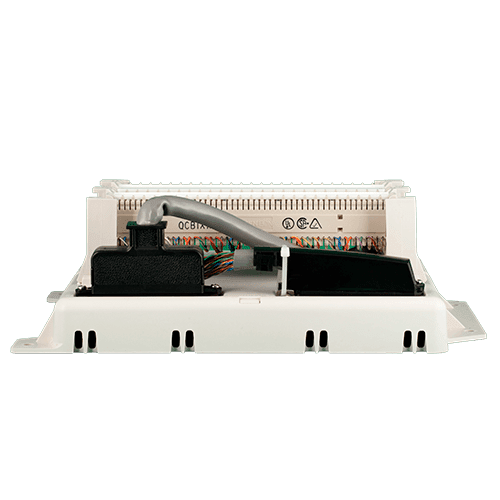 The MDU-25V in conjunction with Comtest’s 4000V Series, H-192 or our MTAS (Metallic Test Access Shelf) CO splitters virtually eliminates modem re-syncing errors, ensuring error free video reception. The MDU can be installed in a variety of multi dwelling or multi tenant configurations, whether they are apartments, condominiums, hotels or office buildings. 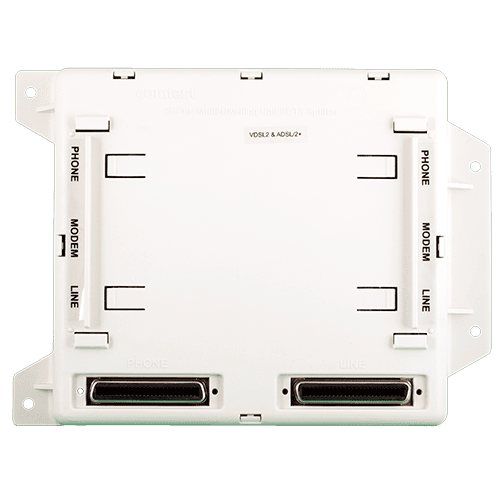 The MDU-25 is installed either as a stand alone unit or in multiples at the demarcation point, or within the MDU telecommunication wiring closet. 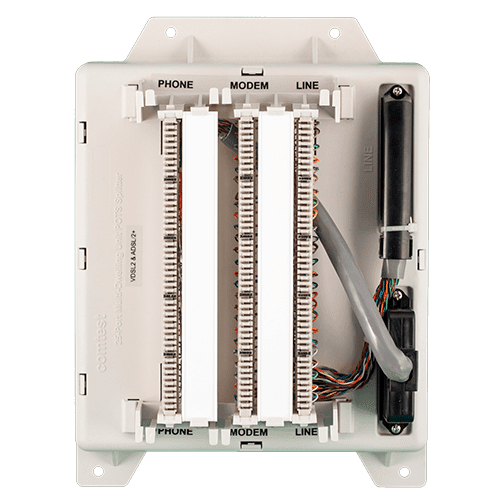 Depending on the deployment, Telco’s can pre-wire all 25 ports prior to occupancy and then provision from the CO eliminating the need for expensive truck roles, or provision on site on an as needed bases. The MDU-25V allows service providers a quick, easy, logical and cost effective means of deploying ADSL2+ and VDSL2 services. The MDU-25V is configured using three industry standards, 25 pair QCBIX1A distribution blocks, Line, POTS and xDSL.